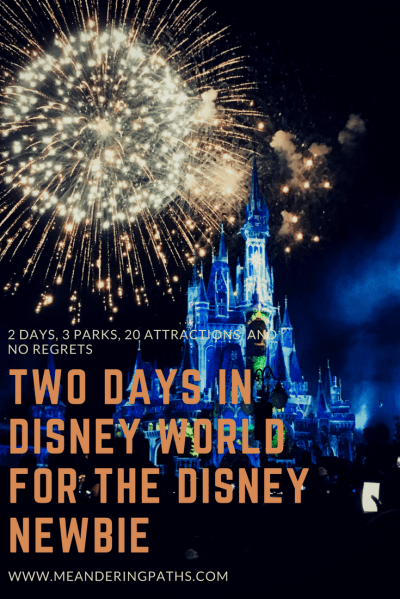 Have you ever sat down and thought "Is it possible to spend only two days in Disney World and see everything on my list, especially when it's my first time? ", and then called yourself crazy? I did. Until I spent only two days in Disney World, and did everything on my list. You read that right - 3 parks, 2 days, and 19 rides/attractions - 21 if you count the repeats. But I must put out a disclaimer - There were no kids or seniors with us. But when you're two young adults and you don't have a money tree, Disney is expensive any day of the year. That's why I've written up my very own cheat sheet doing everything on your list in Disney World - in just two days. If you're not a planner, brace yourself, because this is where the ride begins. So, where do you start planning for your 2 day Disney World vacation? You're going to roll your eyes right now - planning is the first place to start. No plans, no Disney. It's as simple as that. Don't just read things and assume you have it under control. That $600 you spend on two tickets will just go down the drain. And that's no fun when you're strapped for cash and you made the stupid mistake of getting excited for a trip you can't afford. True story. Once you realize how important it is to write everything down, grab a pen and paper. Start with the basics - group dynamic. If your group has a mixed demographic - seniors, adults and kids - you'll want to start with setting realistic expectations. If you're travelling with kids, remember that the parks are quite big; kids get tired, and you'll probably be dragging them around. I saw parents using strollers for 3-4 year olds who were too tired to walk - that's the expectation you need to go in with! The same rule applies to older people who don't have a full range of mobility. Plan ahead for wheelchair access or a lot of breaks. In our case, we were two young adults with moderate-high levels of energy - no level of energy is enough for Disney, as I soon discovered - and I will come to that in a bit. Not everyone is going to find the Seven Dwarfs and the Mine Train entertaining, even if it's the star attraction in the Magic Kingdom. Ask everyone in your group what they'd like to do. You'll find a ton of ride videos giving the faint of heart a complete rundown of the ride and what to expect, when. If you'd rather not ruin the fun of not knowing what to expect, hop on over to Disney Tourist Blog where you'll find spoiler free reviews. A little taste of the ride 'Spaceship Earth' at Epcot. I went through three or four websites and all the ride videos on YouTube. No, I am not a scaredy cat. Yes, I am a crazy planner. I have gone to the extent of scouring Disney World for all the bathrooms ensure that neither Arun nor I have to pee while in line for a ride. If you know you need to pee, you gotta release, but make sure you don't have someone saving you a spot because we hate people like that. Don't forget to save some time for all those irresistible snacks. You'll need it if you're on a mission to do everything on your list. Don't forget to carve out some time in your schedule to eat and shop either, because you'll want to. The official Disney website comes with an exhaustive list of everything you need on property. If you want to skip ahead to dining reservations, you know where to click (here). Fitting everything into 16 hours. The theme parks are usually open for no more than 11-13 hours a day. I've accounted for travel (excluding Disney hotel guests), and shopping at Disney Boardwalk or Disney Springs. If you think 16 hours is crazy, let me tell you this - we were up at 5.15AM and asleep at 11.30pm. That's crazy. 16 hours at Disney isn't enough if you're not smart about it. So how do you manage a 16 hour day at Disney World Resorts? Having a list of rides and attractions is great until you're stuck in a line that you could have foreseen. You've gotta love websites and apps that allow you to plan your trip down to the estimated wait times for rides. Touring Plans not only estimates wait times for rides by the minute, it gives you a very detailed overview of ride popularity and park crowd levels! This is what saved our trip. My strategy, and Touring Plans' recommendation, is to save all the very popular rides for earlier in the day. The best time to hit a ride is at park opening (which again, is far more complicated than I am willing to discuss, so here). God forbid you're stuck in a line with hundreds of people ahead of you - only because you wanted to sleep for an extra 20 minutes. The reason why this works fairly well is because most people are not willing to wake up early in the morning while on vacation. Take advantage of their loss, and beat the lines. That's my advice, especially when you're pressed for time. If you've got no way of making it to the park early, make it a point to get those FastPasses (more on this in the next section). You could try shaving a bit of the wait time off with scheduling these rides later in the day when people are eating, or it's too hot. 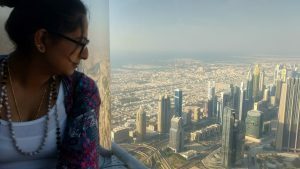 With Touring Plans and the Undercover Tourist which calculates crowd levels and weather you can plan out every minute of your trip. In the grand scheme of vacation planning, it sounds quite obnoxious, but given the short duration, it's well worth it. Trust me, when I say we did everything we wanted to do, I mean it. We also had ample time to rest, and redo rides we loved! No matter how you've micromanaged your plan, dealing with unexpected large wait times are unfair. I have to break it to you, and it breaks my heart to do this, but some rides have wait times of up to 3 hours. That might be crazier than waking up at 5.15AM while on vacation. The wait times are ridiculous, but that's where FastPass comes handy. FastPasses are also a great way to skip the lines for rides that are popular, but aren't a top priority on your list. FastPasses are an initial set of 3 express passes that let you skip 90% of the wait time by bypassing the lines. These are free, and come with some restrictions that I will briefly explain. I do recommend that you also visit Touring Plans to get a more nuanced explanation of the process. Disney World allows you to reserve up to three FastPasses for three rides in the same theme park for a day. These passes will be linked to your tickets, which you will then scan as you enter the ride's line up zone. Once you use your initial three FastPasses, you are then permitted to reserve 1 FastPass at a time for a ride in any theme park. If I start my day off in Magic Kingdom, I can reserve my fourth FastPass in Epcot after I use the first three FastPasses. You can reserve your passes up to 30 days in advance (60 for Disney resort guests) and edit your passes up to the last minute. Disney allows you to book your dining reservations up to 180 days in advance. If you're a hotel guest, you've got a longer time frame to make reservations. This perk comes in handy with popular restaurants like Be Our Guest and San Angel. Restaurants like San Angel are tough to get in, but if you accidentally reserve a spot in their sister restaurant, you might find yourself lucky enough to get a rebooking at this gorgeous restaurant! Help, I can't get anything because it's all reserved! I visited Disney World on a moderately busy day, and even with it being off season, I still struggled with reservations.The key to beating everyone else is to keep refreshing your app or page to see if anything opens up. While the food wasn't all that impressive, the beauty and the beast castle was absolutely beautiful. This is exactly how I managed to get us a reservation for Be Our Guest (usually booked far in advance). If you're like me and you're so frazzled you even book the wrong hotel, they'll accommodate you if it's a sister hotel! The same goes for the rides - people are always trying to change their FastPass selections, so keep your eyes peeled for openings! I've been rambling on about FastPasses and great scheduling but this is what I did. - We got to Magic Kingdom by 8.15AM and after a quick counter service breakfast, proceeded to line up for the first ride. The fireworks were hands down the best part of the first day at the Magic Kingdom. -By 12PM we'd completed 8 attractions/rides, and were ready for a second snack and had already walked through two or three stores. - I managed to get us a reservation at Be Our Guest, the very popular Beauty and the Beast themed restaurant. Our food was mediocre (more on that in an upcoming post), but the experience was fun. - Our final FastPass for the day was for 12:45pm which we made, and then we left for Epcot at 2.30pm - We managed to get on two rides - one without a FastPass and one with. We didn't wait for more than 20 minutes - the first wait for the day! - Our final ride for Epcot was over by 6.45, and we left for the Magic Kingdom to see the fireworks. - We were at the park by 8AM, but we still had around 100 people ahead of us. We still managed to get on the ride and out by 9.10AM - an incredible feat, believe me! The Night Blossom is a must drink! We dodged a 1.5 hour wait at the Na'avi River Journey ride - and it was awesome! - We strolled, grabbed some delicious Night Blossom, and ate breakfast at the Rainforest Cafe. - Completed our Kali River Rapids ride and Na'vi River journey. Cancelled our Everest rollercoaster because we were too chicken. The first thing that catches your eye as you head into Epcot is the huge Spaceship Earth sphere in the theme park. - At around 4.30pm, we grabbed an early dinner (or late lunch, however you see it) at San Angel. By then we were absolutely knackered. Waiting in that Frozen line totally did us over, so if you're with kids, really think twice about wait times!! - We also got a chance to do two rides again, one with a FastPass, though I wish we could have added one more to the list. Call it a waste of time or a welcome break from walking in the heat, shopping needs it's own little schedule in your trip. - At around 6pm we finally decided to miss the Epcot fireworks and go to Disney Springs for a quick shopping trip. Unfortunately due to the winds, we couldn't ride in the hot air balloon (very sad face, I know Arun was super down). We were extremely grumpy (cue extreme leg pain and foot numbness), and grabbed some dinner to go. So... Where are the spoilers? What do I need to see? Disney is huge. You will never be able to cover every single thing in the theme parks in any given time - you'll probably need a couple visits that are almost 2 weeks long to claim that victory. Till then, stay tuned for the next post in this series for all the must do's and must not bother!